Hours after announcing his retirement on Wednesday, Yao Ming was already consigned to history by China's basketball association. But netizens have fonder memories of the 7-foot-6 basketball giant who spiked China’s interest in the NBA. 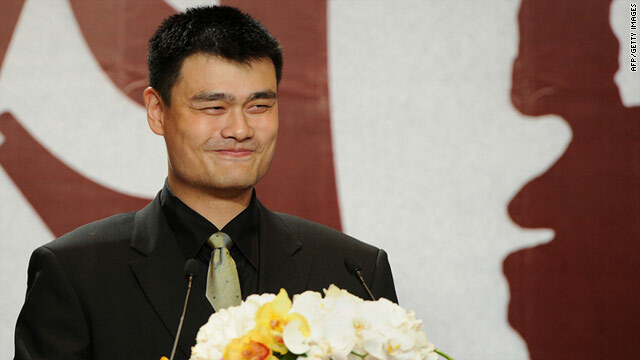 Known for his humor and humility, Yao charmed his audience of guests and journalists during his farewell announcement. The news conference used the theme “Ming Xie” (明谢), which has the same character as Yao's first name, Ming (明). But it is also a play on words: The formal term for appreciation in Chinese (鸣谢) is also pronounced as “Ming Xie”. By embedding his name, Yao used the event to say thank you to his supporters around the globe. That might sound extreme, but there may be some truth in it. According to an online survey conducted this week, 57% of Sina Weibo users now plan to stop watching the NBA. Yao’s face may not appear on China’s national team roster anymore. But if netizens are any indication, Chinese basketball will continue to live in the giant man’s shadow.